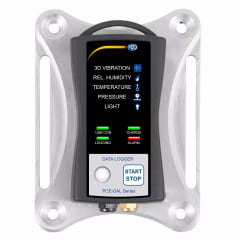 PCE Instruments is currently very busy working on a new high-quality “museum data logger” to add to their already broad range of data loggers. After many years of experience in the market, PCE’s engineers have consolidated all their know-how to develop and build a new data logger to fulfil highest European standards. After launching this data logging instrument, others will follow. PCE Instruments is a leading developer, manufacturer and supplier of test, control, laboratory and weighing equipment in all price ranges, offering more than 500 different measuring instruments for applications in engineering, manufacturing, aerospace, food and hygiene, environmental and many other industries. The company was founded by German engineers nearly two decades ago and has expanded all over the world, having 13 offices in various countries. In case a customer cannot find the right product or solution in PCE’s range of products, they can ask the production and development department to provide a more individual solution that suits their needs.